Tape is a still being used today as a back-up method for some businesses. 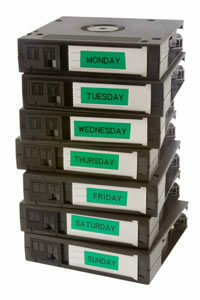 Tapes often contain business-critical data that cannot be easily recreated. When a tape fails, it can be a very intricate process to recover the vital contents stored on them. There are many factors that can cause data on these devices to be inaccessible by normal reading devices. Physical Data Recovery is necessary when there is a physical problem with the media or plastics which prevents the data from being read normally. This type of data recovery may include dealing with issues such as deteriorating magnetic coatings, cracked or broken reels/cartridge shells, creased tape edges, twisted or folded tape, stretched or broken tape, etc. This data recovery also includes capturing the data from media that has been subjected to adverse conditions such as water, mud, or other debris. 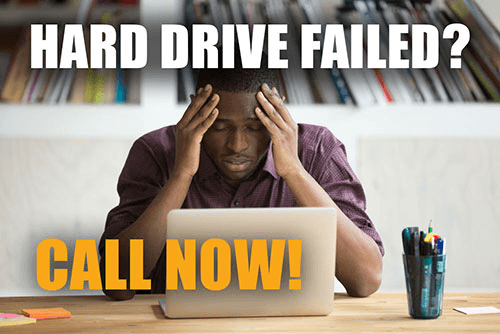 Logical Data Recovery includes recovering the data portion of a tape that was successfully recorded, but for some unknown reason cannot be read. The recovery of files from this type of problem often requires multiple passes using proprietary software that restores the file to a new storage device. Logical recovery also includes tapes that were written with misaligned heads or were re-initialized by mistake. Data Conversion is defined as the changing of the data structure to accommodate new needs for the data. An example of this is converting from EBCDIC to ASCII. Simple data conversions can be defined as transferring files between different operating systems or backup routines without converting the data. An example of this would be transferring data between different PC backups such as Sytos Plus to NT Backup. More complex data conversions involve converting the file structure and writing the converted data to a different tape and/or operating system. An example would be the conversion of DC600 System 36 files into text files on a CD. Format conversion is the transfer of data between logical formats to enable the reading of data on one platform having been written to another. Examples would include: reading a tape on an NT platform having been written as a UNIX TAR file. Media conversion is handling different magnetic or opto-magnetic media. Examples of media conversions are: Duplicating sets of master tapes to create backup copies, duplicating a DDS-4 tape onto DDS1 tape.